Currently, a starting teacher would earn a minimum salary of $31,400. The bill would increase that beginning salary to a minimum of $32,800 for 2019-2020 school year, to $33,800 in the 2020-2021 school year, $34,900 in the next year, to finally $36,000 in the 2022-2023 school year. According to Cozart, the bill puts money towards each school that is tied to this payment schedule, with 168 school districts adhering to it. The total impact of this bill would be $60 million. The funding for the first four years would come out of a surplus from the state’s educational adequacy fund, which is mainly tax funded. However, there currently is no set plan for funding these new salaries beyond that. Cozart recognized that as a possible concern for his fellow committee members. "What do we do when four years is gone? Well, that’s up to us. As a legislative body we are charged with that. We’ve been charged with fixing adequacy and trying to make it better and every two years we do that," Cozart said. 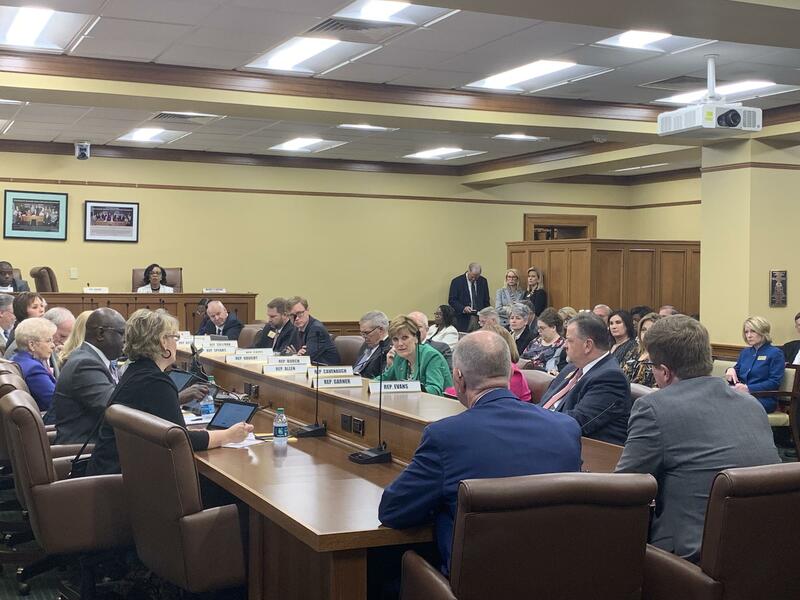 One question about the bill raised by committee members was whether any schools that already have their salaries at or above the new rate would receive any of that funding. State Commissioner of Education Johnny Key said those schools would not receive additional government funding, and that there will be some school districts that "feel left out" However, they could qualify for funding the following year if their minimum wage does not meet the increased minimum. Another question the committee had concerned school districts using the funds for something other than pay increases. According to Cozart, the money the schools receive for teacher salary increases is mandated and cannot be used for any other cost. "This is going to charge the schools that are worried about this funding, that what we put in there in the future and what we put in the past has to go to fund the teachers," Cozart said. "They can’t be funding something else, and I don’t have a clue what they would even use it for, I’m not going to speculate on that, but it has to go to teacher salaries. If we put it in there for it, that’s what it has to go to." "At some point, we as the legislature are going to have to get serious enough about the education of our children, taking care of our staff and truly, truly get this education thing right from a funding standpoint," Murdock said. Cozart said some of the specifics concerning funding the bill would be worked out in the Rules and Regulations Committee. The House Committee on Education ultimately passed the bill through a voice vote, with no dissenting votes.